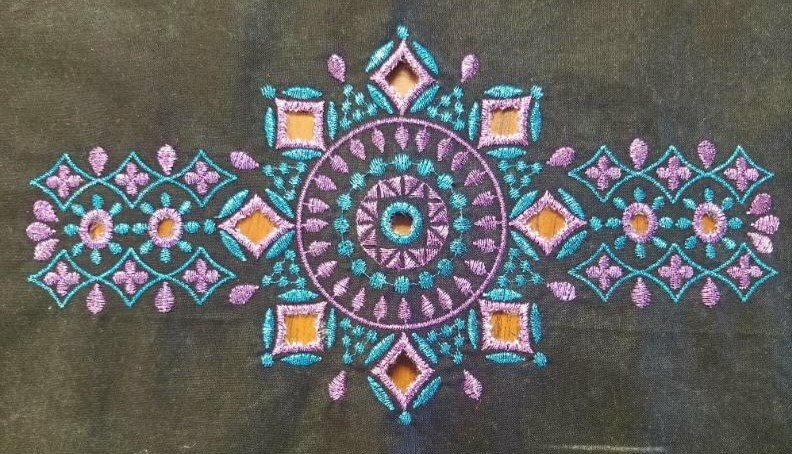 Come learn how to work with metallic threads in embroidery. Metallic threads make your designs sizzle! Any design can use metallic thread in place of one of the design threads. Bring a design of your choice! Sample shown is from Anita Goodesign's Cut It Out collection.